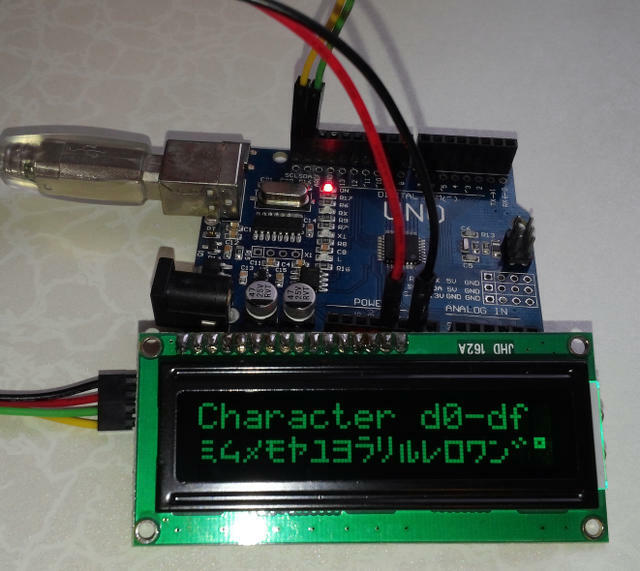 If you want to connect a standard LCD-display to your Arduino, you should try this library! With this MicroLib your Arduino board will be able to control a standard LCD-display, based on the Hitachi HD44780 display-controller and connected through a PCF8574 based I2C-adapter. 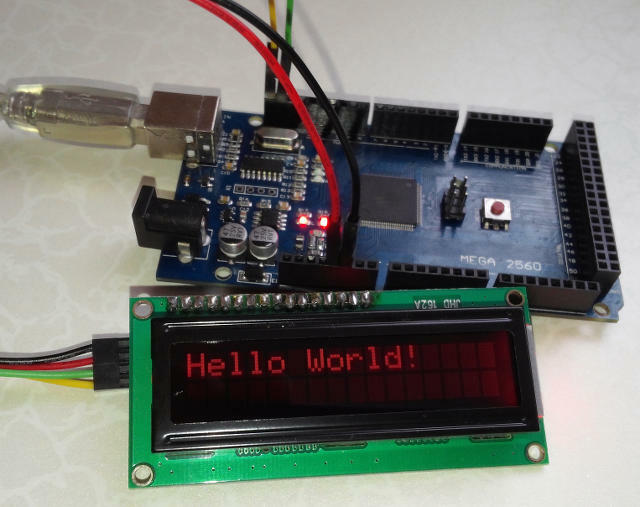 It consist of the single header file MicroLib_LCD_I2C_PCF8574.h which must be included after including the Wire-library or the Software I2C-library - yes, this library works fine with the Software I2C library, see the included HelloWorld example programs. 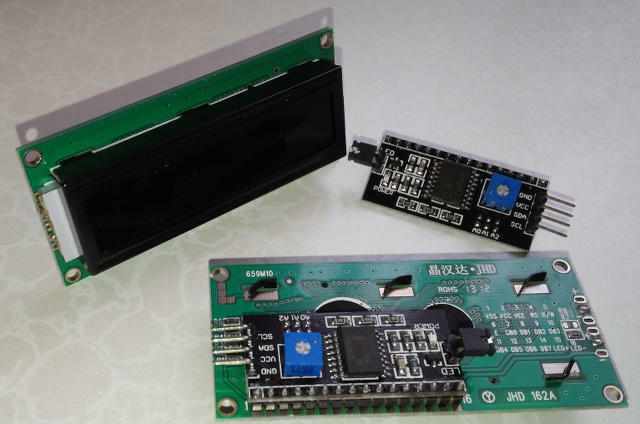 The standard LiquidCrystal library does only support LCD-displays, connected directly to the Arduino I/O pins, no I2C. If you want to use an I2C-adapter only the New-LiquidCrystal-library from Fernando Malpartida is available which can replace the original LiquidCrystal-lib entirely. Compared to those libraries, the MicroLib greatly reduces the size of the compiled code and the depth of the call-stack, by simply replacing sub-routines that would just call another subroutine to send a command to the display with C pre-processor macros and omitting all checks; You must know what you are doing: If you want to write a text into row 3 of a 16x2 display the MicroLib will happily store your data into the LCD-display controllers memory - don't be surprised if you don't see it! This schematic is available as Eagle-file and PDF-document. If your adapter has a different layout, you need to adjust the [LCD_SendByte] sub-routine. Usually there is no need to use this sub-routine in your programs, you should really know what you are doing if you use it! It is possible to re-define more than one character with one call of this sub-routine. Instead of using this sub-routine, better use the pre-processor macro LCD_DefineChar. Pre-Processor macro, calls LCD_DefCh to avoid the pointer syntax &HandleName. Pre-Processor macro, calls LCD_SendByte and updates the display-handle. p_Column - The column to which the cursor is moved, column numbers start with zero. p_Row - The row to which the cursor is moved, row numbers start with zero. THE standard example: Print the text "Hello World!" to the connected LCD display. Connect your LCD-Display to the pins A5 (SCL, yellow wire) and A4 (SDA, green wire) and run this program to see "Hello World" on your display. switching between the new LiquidCrystal library and the MicroLib you can compare the difference in code-size. Another simple example program which demonstrates how to define all eight custom characters and cyclically displays the whole character-set in chunks of 16 characters. This program can be used with the standard Wire or the Software I2C library, see line 14 in the source-code.